Daniel Huger II purchased and consolidated about 3,500 acres of unimproved land to form Goodwill. He began to construct a canal irrigation system to drain the land for agriculture (1, p. 2). 1827  Daniel Elliott Huger (son of Daniel Huger II) acquired Goodwill after his father's death. He continued to plant cotton and subsistence crops like his father (1, p. 2). 1854  Goodwill Plantation consisted of 7,465 acres (1, p. 3). 1858  Edward Barnwell Heyward purchased Goodwill from Daniel Elliott Huger. He continued to plant cotton but also grew sweet potatoes, peas, beans, and corn. During the Civil War Heyward sent his slaves from his other plantations to Goodwill to wait out the war (1, p. 3). 1869  George Wickes purchased the plantation. He operated a grist mill and a sawmill as well as produced some crops (1, p. 3). 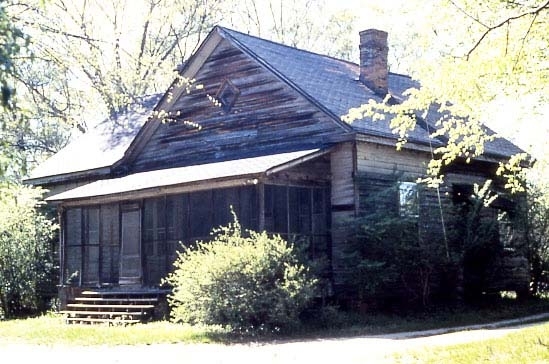 1874-1888  Goodwill Plantation changed ownership many times (1, p. 4). 1888  Julia Clarke purchased Goodwill. She used convict labor to improve the property. Several tracts of the plantation's land were sold during the Clarke ownership (1, p. 4). 1910  Samuel B. McMasters purchased the plantation. Under his ownership the plantation was used by tenant farmers, for timber production, and as a hunting and fishing preserve. Farming continued until the 1950s, and the grist mill ran until about 1944. 1986  Goodwill Stock Company was owner of record (1). Mid 1990s  Larry Faulkenberry purchased the plantation with the intent to sell it. However, he fell in love with Goodwill and has been caretaking and restoring the plantation instead (3) (7). 2013  Larry Faulkenberry still owned Goodwill Plantation (7). Edward Barnwell Heyward sent his slaves from his other plantations to Goodwill to wait out the War. Other relatives sent their slaves to Goodwill as well (1, p. 3). 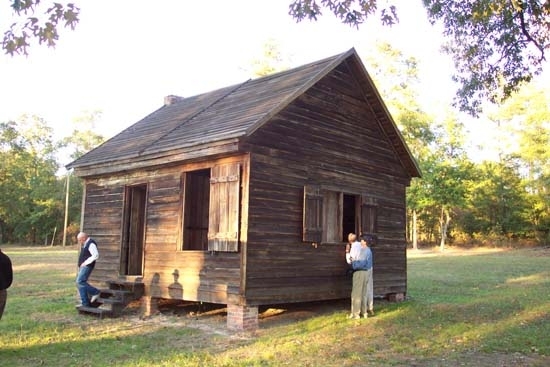 Several buildings that were constructed over the history of the plantation, remain on the property including overseer's house, mill building, slave cabins, blacksmith's shop, lodge and the main house (1, p. 2).